If your martini needs a little change this might be just the trick. This is the ideal sophisticated drink for any party. This is especially nice for that grown up Halloween party to chase away vampires! This version is slightly less dry than traditional, athough you may adjust to taste. 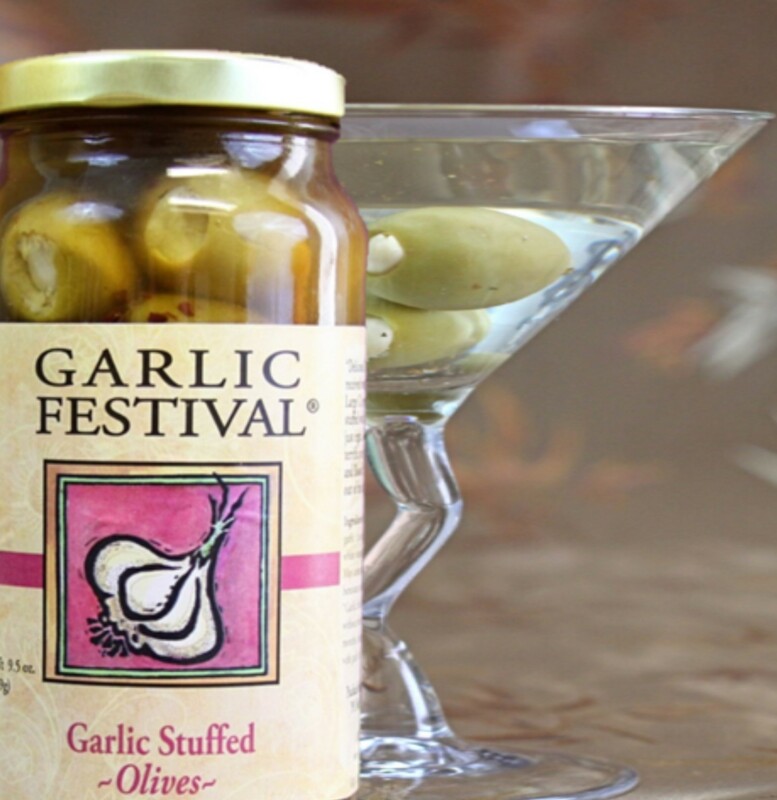 For a nice spicy version you may substitute Garlic Festival Garlic & Jalapeno Stuffed Olives. Shake everthing except the olives themselves with a small amount of ice in a shaker. Starin the mixture into a martini glass. Garnish with olives and serve. Recipes > Game Day Favorites!